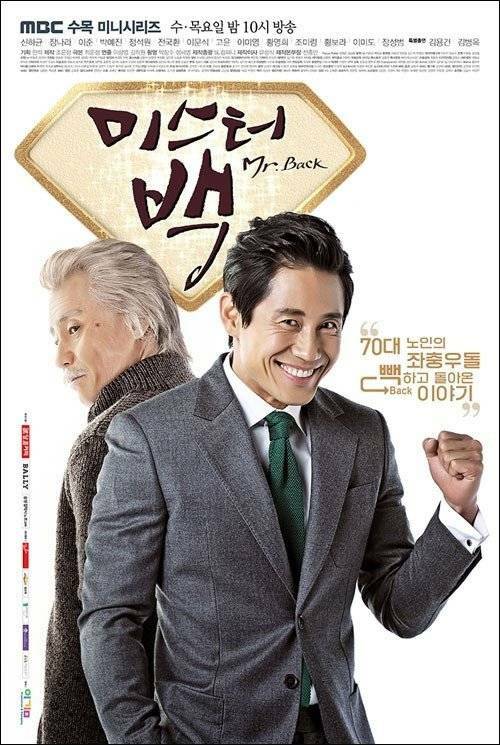 A hotel owner in his 70s, who has known nothing but money all his life, suddenly turns into a young man in his 30s. 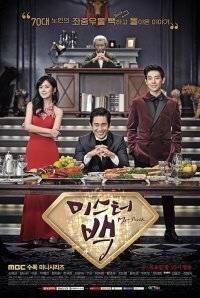 When will Shin Ha-kyun succeed again? From Kim Soo-mi to Kim Sang-kyung, will TV stars be effective on the big screen? Jang Nara, "To have children before forty, I should get married within two years"
[Interview] Lee Jong-suk, "I was fearful when I first encountered "Pinocchio""
[HanCinema's Drama Review] "Mister Baek"
Jang Nara wins Top Excellence Award in a Miniseries and says, "Thanks Shin Ha-kyun"
Jang Nara "Lee Joon likes Shin Ha-kyun more than me"
Actress Choi Soo-young "Without Girls' Generation, I would not have made this far here"
Rookie Kang Soo-jin-I to star in "Kill Me, Heal Me"
"Pinocchio" in first place, 0.5% gap with "Mister Baek"
"Pinocchio" catches up with "Mister Baek"
"Pinocchio" claims top spot over "Mister Baek"
Close race to the top: "Pinocchio" vs. "Mister Baek"
Shin Ha-kyun plays genius villain in "Big Match"
Hwang Bo-ra to star in "Mister Baek"
Jang Nara in "Mister Baek"
Upcoming Korean drama "Mister Baek"
Kim Nam-gil drops out from MBC "Mister Baek"
View all 201 pictures for "Mister Baek"